Enter your account number to register and see HELLBOY 4/11–4/14 in BigD to earn 2,000 bonus points — or in digital 2D to earn 1,000 bonus points! 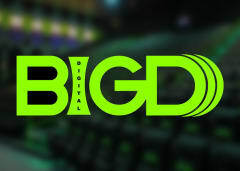 Experience the digital difference that is BigD. This premium, large-screen format, auditorium offers innovations in dimensional sight, dynamic sound and deluxe seating. Motion Picture Artwork © 2019 Lionsgate Entertainment Inc. All Rights Reserved. This offer is valid for select AMC Stubs members only. Members who register will earn a bonus based on purchase: 1) 1,000 points for digital format and 2) 2,000 points for premium format. Visit must be a qualifying visit between 4/11–4/14. Bonus points will be awarded 2–4 days following the qualifying visit. 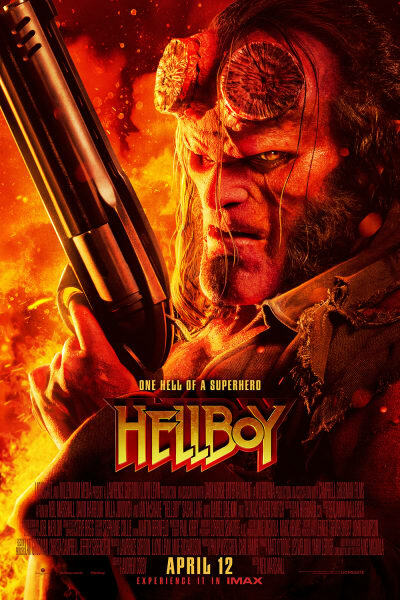 A qualifying visit must 1) include at least one paid ticket to HELLBOY, 2) occur at participating locations, 3) occur during the promotion window, and 4) have the member's AMC Stubs account # associated with the transaction. Multiple separate purchases associated with a common movie showtime per date will only count toward a single qualifying visit. Registered members can earn the maximum of 6,000 bonus points over the course of the promotion. No bonus points will be awarded for admission tickets provided as part of an A List Membership. AMC associates are not eligible to participate in this Bonus Point promotion.